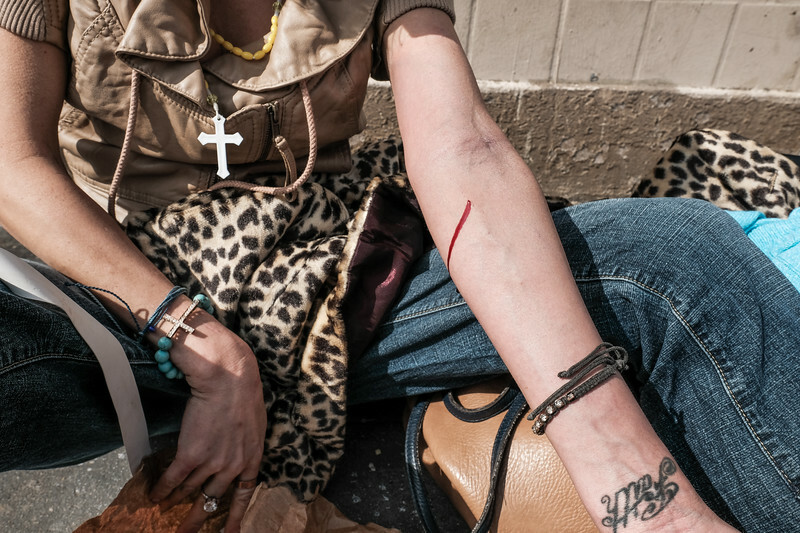 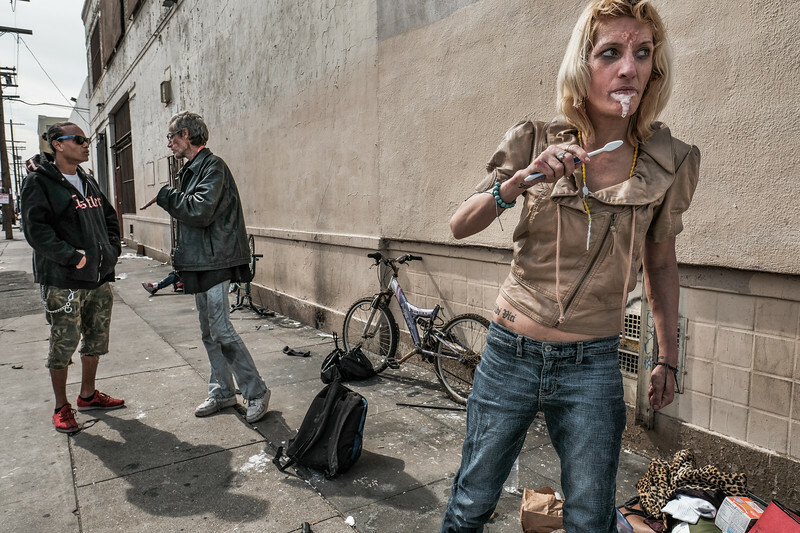 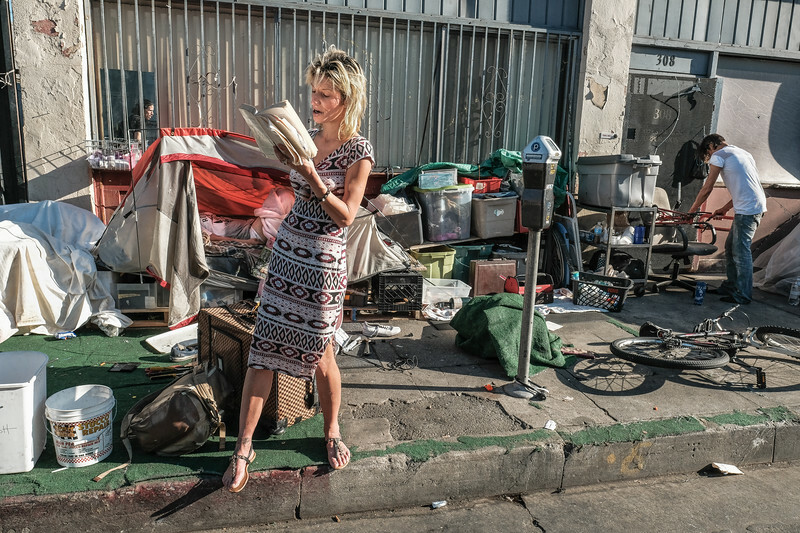 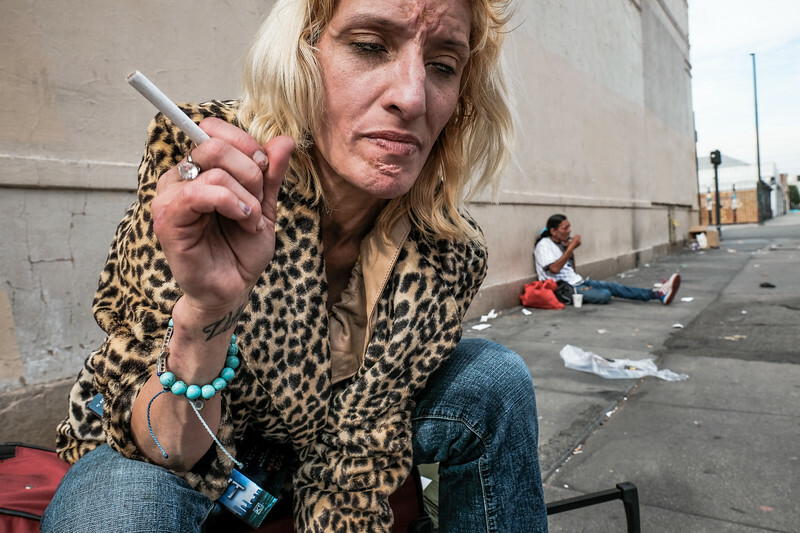 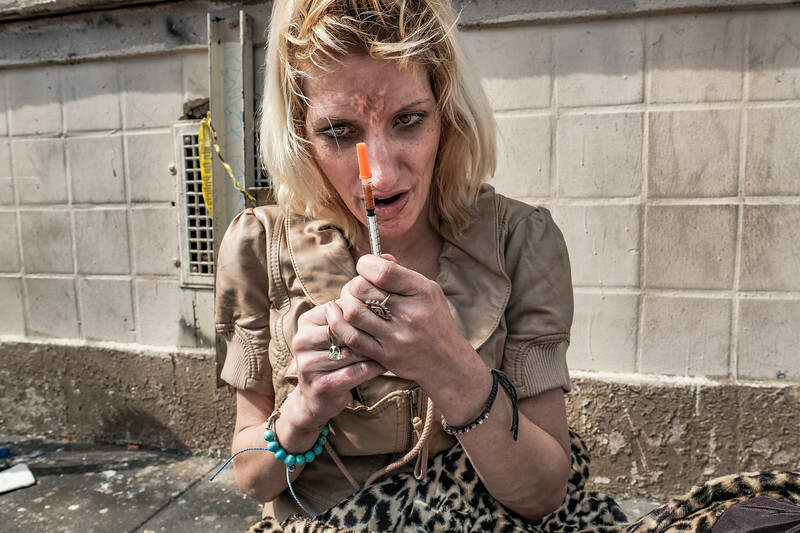 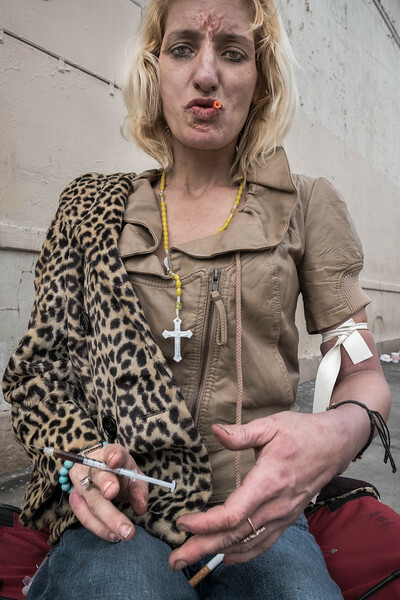 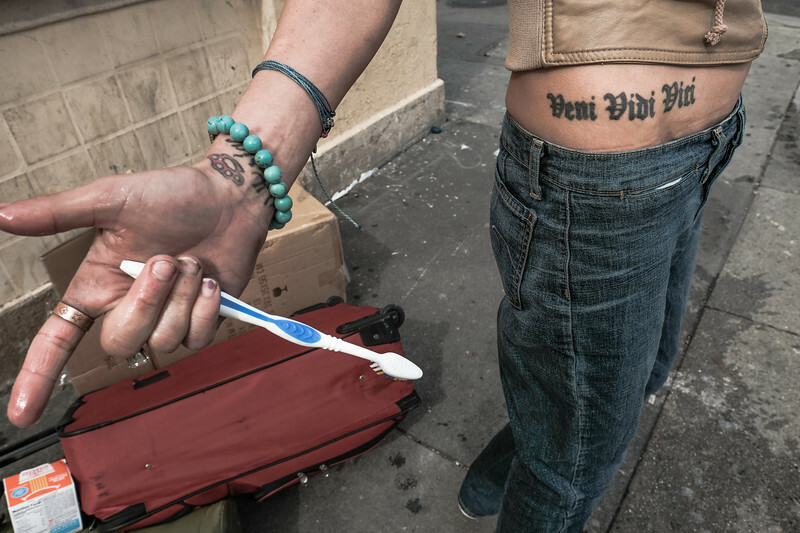 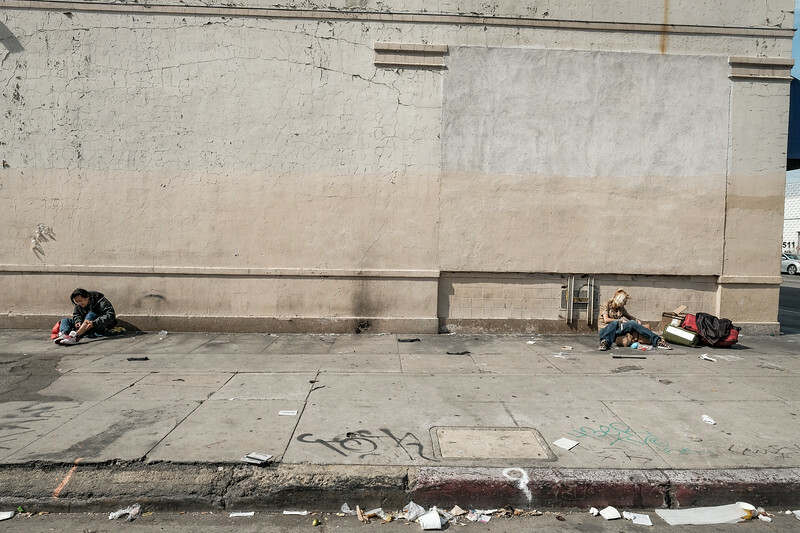 The needle exchange located around the corner is a daily necessity and ritual for many addicts on Skid Row. 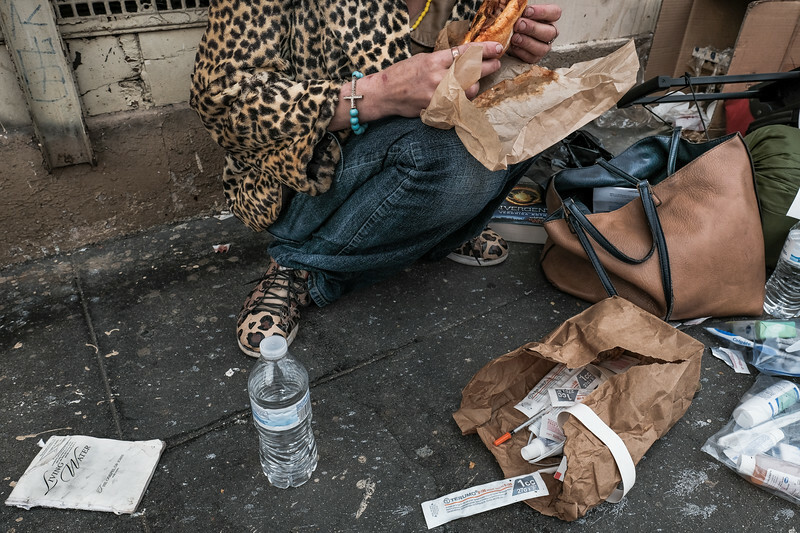 They can go, pick up lunch, clean drug paraphernalia and sterilization supplies, and often donated food and toiletries. 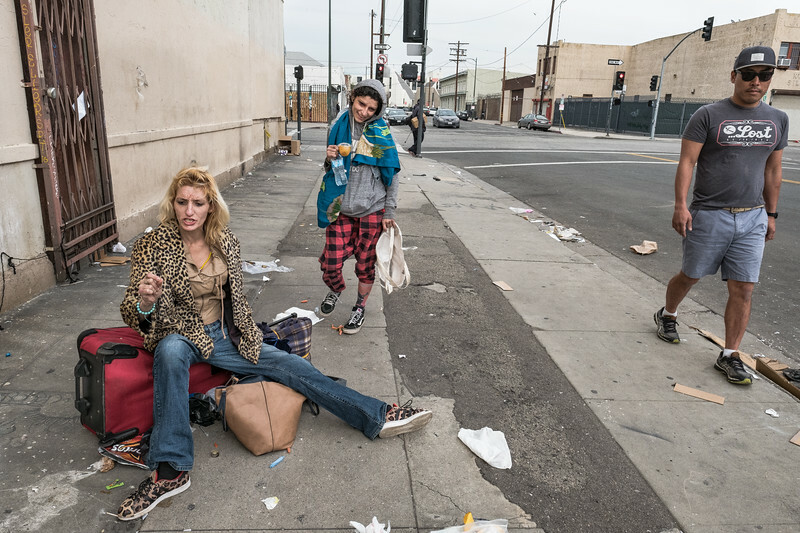 People have known each other and lived in the neighborhood for years. 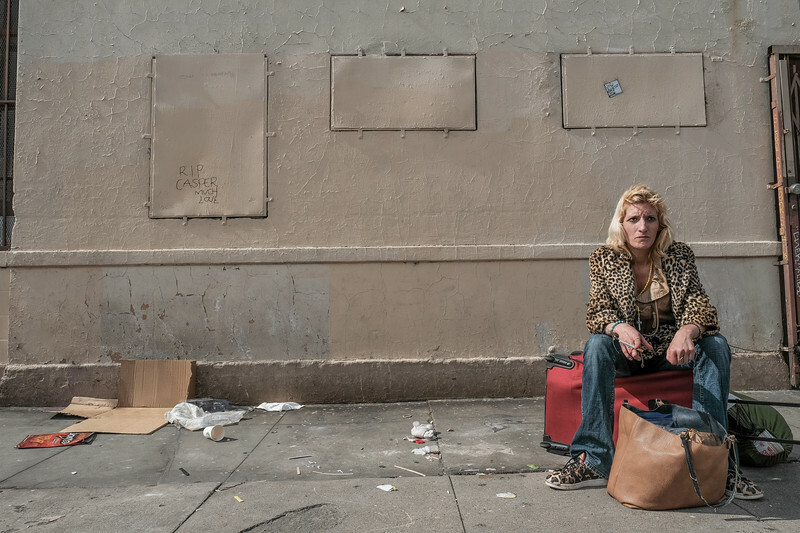 Christine stands alone on Towne Avenue.